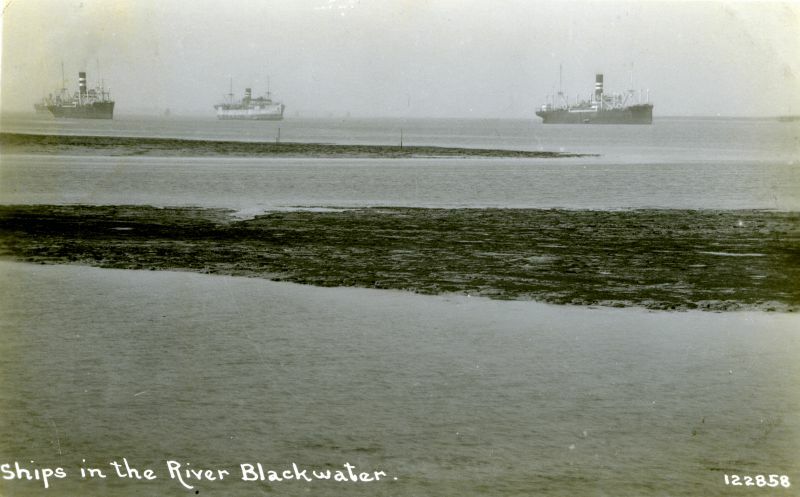 Career: Postcard 122858 shows two of the three Nelson Line M class ships laid up in the River Blackwater. 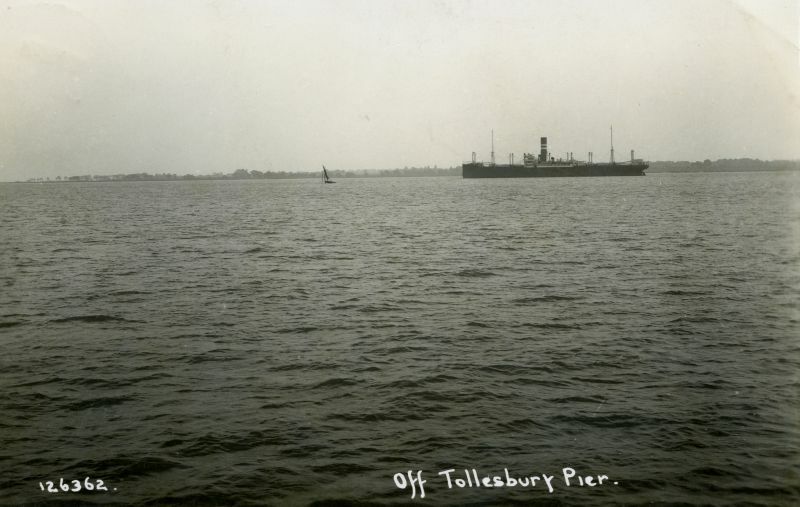 Postcard 126359 shows the same ships from Tollesbury Pier. The MURILLO, MOLIERE and MEISSONIER were purchased from Lamport and Holt line in 1929. In 1929 they were taken over by Royal Mail Line and renamed. Postcard 126362 shows one of the M class ships - message on the back says it had left by 30 November 1932. MURILLO built 1915, 7,206 tons gross. Official Number 137478. 1932 renamed NALON. MOLIERE built 1915, 7,206 tons gross. Official Number 137510. 1932 renamed NELA. 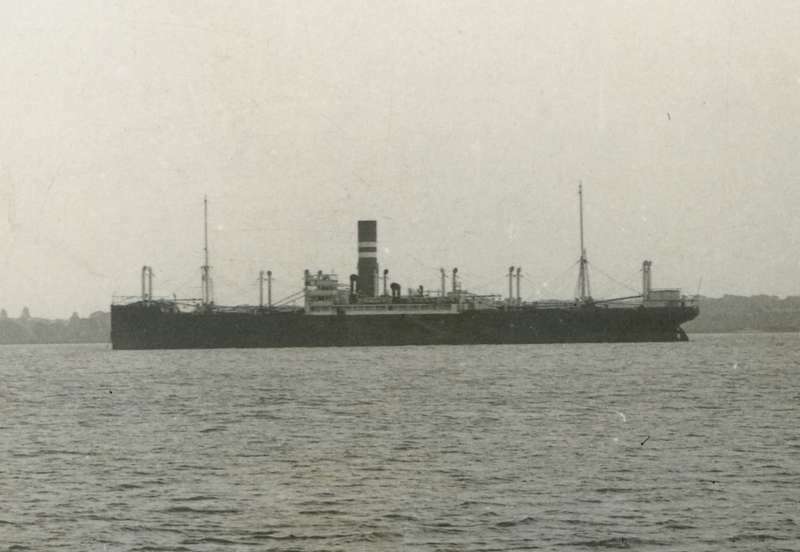 MEISSONIER built 1915, 7,206 tons gross. Official Number 137456. 1932 renamed NASINA. Above: Ships in the River Blackwater post card no. 122858. Postally used 1932. The prominent ships on the left and right are Nelson Line M class. The vessel in the centre is HIGHLAND WARRIOR. Date: Before 7 December 1932. Above: Laid up ships off Tollesbury Pier. The left two ships are M class. The right ship is the HIGHLAND WARRIOR. Part of postcard 126359. Date: c1932. Above: Off Tollesbury Pier. Nelson Line vessel laid up in the River Blackwater. The vessel thought to be either MURILLO, MOLIERE or MEISSONIER. Postcard 126362. Message on back was written 30 November 1932. Date: Before November 1932. 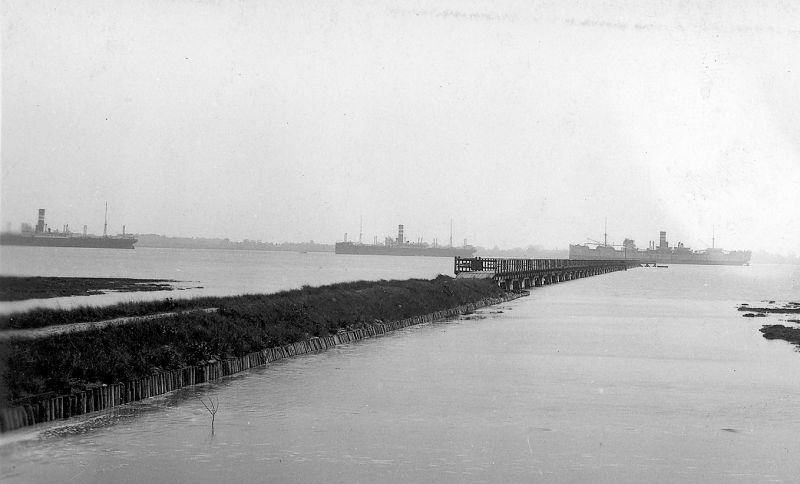 Above: Nelson Line M class vessel laid up in the River Blackwater. The vessel thought to be either MURILLO, MOLIERE or MEISSONIER. Part of postcard 126362. Date: 30 November 1932.